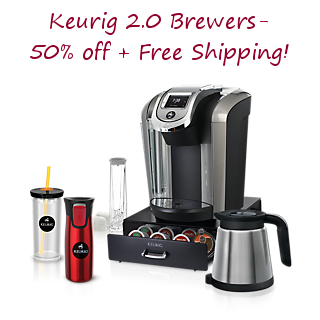 For a limited time, you can use code DPSFRIEND to get 50% off any of the Keurig 2.0 Brewers plus get free shipping. It’ll get you a brewer for as low as $60 shipped. 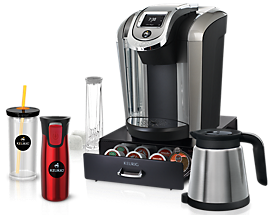 The K250 shown below comes with the Keurig Carafe, 6 k-cups, 4 k-carafe packs, water filter, and handle – all for $60 shipped with the code. Or, you can get this huge K500 package deal for $135. Pay with Paypal Credit and you’ll get up to 18 months no interest to pay it off. Vera Bradley – up to 70% off + Free Shipping!